Our legal adoption team works to provide a smooth legal process for the child and everyone involved. We make sure your paperwork is always complete and accurate by staying up to date on adoption laws at state and federal levels. As an agency, we're here to listen to you, answer your questions and address your concerns every step of the way. 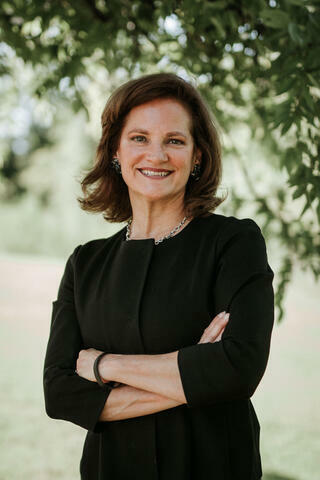 Heidi Bruegel Cox is the Executive Vice President and General Counsel for the Gladney Center in Fort Worth, Texas, and has worked as an attorney in the field of adoption for over 25 years. She is a Fellow in the American Academy of Adoption Attorneys and serves on the board as secretary for the National Council for Adoption. As a child advocate, Heidi is active in educating the public and promoting legislative initiatives to protect children and support positive adoption practices, Heidi previously served as a gubernatorial appointee to the Texas Adoption Review Committee which examined the child welfare system, seeking solutions to remove barriers to adoption for children in foster care. Heidi has also served on the board of the Texas Family Law Council, which supports the efforts of the Family Law Section of the State Bar of Texas. Heidi was inducted into the Adoption Hall of Fame at the National Council for Adoption Annual Gala in Washington, D.C.
Mackenzie joined Gladney's legal team in 2018. She has always had a passion for serving her community, and by gaining knowledge of the legal system through her experience and education she is able to exercise this passion through legal services. Working for Gladney has opened several new pathways in her career to be able to assist with the legal side of the adoption process. Gladney launched an advocacy page as a resource, to keep families and other child advocates informed about what we are seeing, and to provide a communication avenue for individuals to notify Gladney about other issues you are aware of or to let us know your thoughts about the issues we are following. Reading to start exploring adoption?